By equipped with auger dosing device. Our vertical packing machines are suitable for packing all kinds of powder products like sugar, salt, pasta, spices, coffee, flour, milk powder, and many others. Semi Automatic Auger Filler Volumetric filling machines automatically carry out measuring and filling of granular materials, such as milk powder, feed, rice boodle, sugar, coffee, monosodium glutamate, solid drinks, glucose, powdery additives and dye. 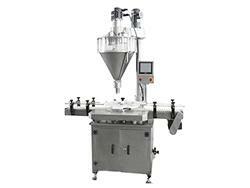 The volumetric filling machine features an extremely stable working performance. 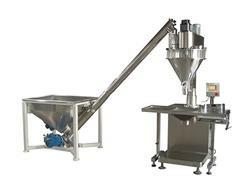 Automatic Filling and Weighing Machine The automatic filling and weighing machine is specifically designed for ultra-fine, dusty powder and high precision packaging. 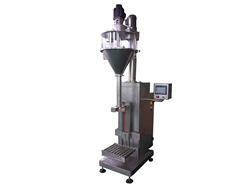 It can accomplish filling and weighing processes according to the signal given by the weight sensor. It is suitable for additives, carbon powder, dry powder and other ultra-fine powder filling and other high precision powder filling.